As the first NAACP field secretary for Mississippi, Medgar Wiley Evers put his life on the line to investigate racial crimes (including Emmett Till's murder) and to organize boycotts and voter registration drives. On June 12, 1963, he was shot in the back by white supremacist Byron De La Beckwith as the civil rights leader unloaded a stack of "Jim Crow Must Go" T-shirts in his own driveway. His was the first assassination of a high-ranking public figure in the civil rights movement. While Evers's death ushered in a decade of political assassinations and ignited a powder keg of racial unrest nationwide, his life of service and courage has largely been consigned to the periphery of U.S. and civil rights history. 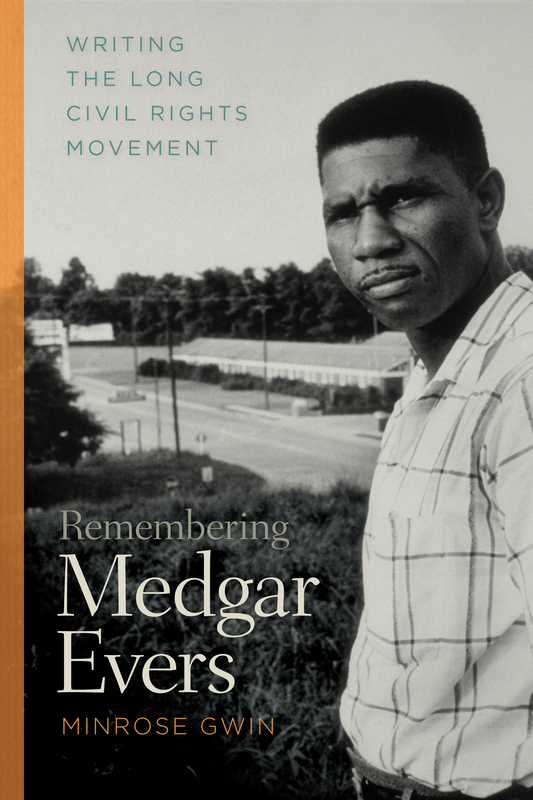 In this compelling study of collective memory and artistic production, Remembering Medgar Evers, Minrose Gwin engages the powerful body of work that has emerged in response to Evers's life and death—fiction, poetry, memoir, drama, and songs from James Baldwin, Margaret Walker, Eudora Welty, Lucille Clifton, Bob Dylan, and Willie Morris, among others. Gwin examines local news account about Evers, 1960s gospel and protest music as well as contemporary hip-hop, the haunting poems of Frank X Walker, and contemporary fiction, including Gwin's own novel of racial violence in the summer of 1963, The Queen of Palmyra. In this study, Evers springs to life as a leader of "plural singularity," who modeled for southern African Americans a new form of cultural identity that both drew from the past, and broke from it. To quote Gwendolyn Brooks, "He leaned across tomorrow."